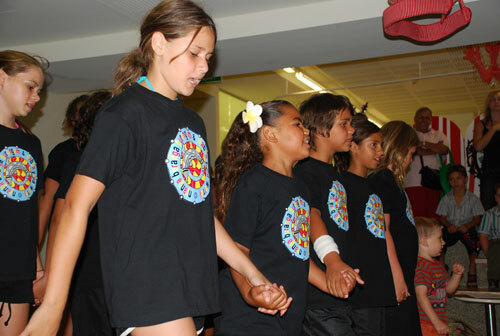 The Queensland Indigenous Languages Advisory Committee (QILAC) is committed to working with the Department of Education, and Independent Schools, to ensure that first languages are included in the curriculum in line with language community aspirations. Queensland’s language communities have diverse opinions on whether teaching their languages in schools is appropriate. To help teachers and principals come to an understanding of how to work with their local community to establish a language program QILAC worked with the Queensland Studies Authority to write the: Guide to implementing the Aboriginal and Torres Strait Islander syllabuses in Queensland schools. 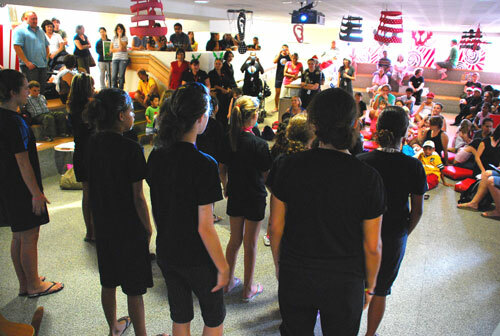 Butchulla students performing at the State Library of Queensland.